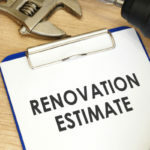 Kitchen Cabinets and Granite Countertops, Pompano Beach FL > Blog > Blog > Are Frameless Cabinets A Good Choice? There are two distinct cabinet styles you can pick between when designing the kitchen of your dreams, frameless or framed cabinets. Both of these options offer a fully functional cabinet with a host of unique benefits, yet each is different. So you might be wondering, are frameless cabinets a good choice for your kitchen remodel? In many cases, frameless cabinets make a great option, and most people that have had frameless cabinets recommend them to others. 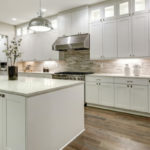 Before we get into the benefits of frameless cabinets, it’s important to identify what sets frameless cabinets apart from framed cabinets. By definition frameless cabinets do not have a front frame attached to the cabinet box. Instead, the cabinet sits flush with the cabinet box, creating a more simplistic and modern appearance. The actual cabinet door creates the face frame for the cabinet, unlike framed cabinets that include a built-in face frame that stands out from the cabinet box. This means the hinges operate differently on both types of cabinets. Frameless cabinets are hinged and bolted directly onto the cabinet box, while framed cabinets are hinged to the additional face frame. Frameless cabinets require less material, meaning they are more affordable to purchase compared with framed cabinets. Interestingly, framed cabinets can be made to have the same “full overlay look” as frameless cabinets, although this usually comes with an upcharge. 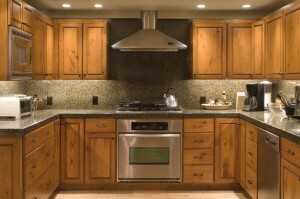 Frameless cabinets do not include a center stile, or a bulky slab of wood that comes down in between two cabinet doors. Frameless options allow you to have two cabinets side by side without the stile getting in the way of storage space. Without a face frame you get an additional few inches per cabinet, which really adds up. Eliminating the face frame and going ‘frameless’ is often referred to as “full access” cabinetry, simply because this style makes accessing items in your cabinets much easier. If you are going for a more modern look frameless kitchen cabinets offer the most appropriate option. The seamless look of a frameless kitchen cabinet offers the more simplistic look characterized by modern design. Today’s modern style is all about keeping things simple, hence why more and more Americans are installing frameless cabinetry. Just because they are lacking a face frame doesn’t mean they are lacking any style. Frameless cabinets are available in many different styles, offering unlimited opportunities for your kitchen design. 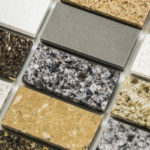 Frameless cabinets can be fully customized to meet your exact needs and preferences, including style and functionality. 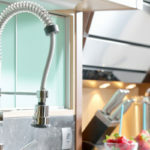 The customizable hinges allow you to open cabinets partially or fully in accordance with the exact placement of cabinet doors, for instance if cabinets are tucked in a corner. -Frameless cabinets tend to be less durable than framed cabinets because the cabinet door is bolted directly to the cabinet box as opposed to bolted to the additional cabinet face. -Frameless cabinet doors are more likely to shift out of place after an earthquake or other natural event. If your cabinet doors shift out of place it typically only requires minor work to fix and restore. -If you have uneven walls or floors “racking” may be an issue with frameless cabinetry. Racking is when cabinets look tilted or unbalanced because the wall or flooring is off kilter. If the floor is sloping or the wall is uneven frameless cabinets lack the added strength of a doorframe to remain upright. Additional door and hinge adjustments may be necessary to get the cabinets just right. -You will need a doorknob of some type on cabinets in order to make it easier to open them. We recommend a doorknob for all kitchen cabinets, frameless or framed. Cabinet door knobs help reduce the wear and tear your cabinets experience on a daily basis. Are Frameless Cabinets A Good Option For You? In the end, it largely boils down to your particular taste and the style you are aiming to achieve. Make sure to look at plenty framed and frameless cabinets to help you decide which appearance you prefer. If you are looking for the greatest selection at affordable prices we have you covered! Tops Kitchen Cabinet offers a wide selection of frameless cabinets at wholesale prices.